Silvinformation engages in transfer of knowledge from research to those involved in practical applications. The company specialises in editing, simplifying and disseminating results from scientists and experts, primarily in the forest sector (Silva=forest). 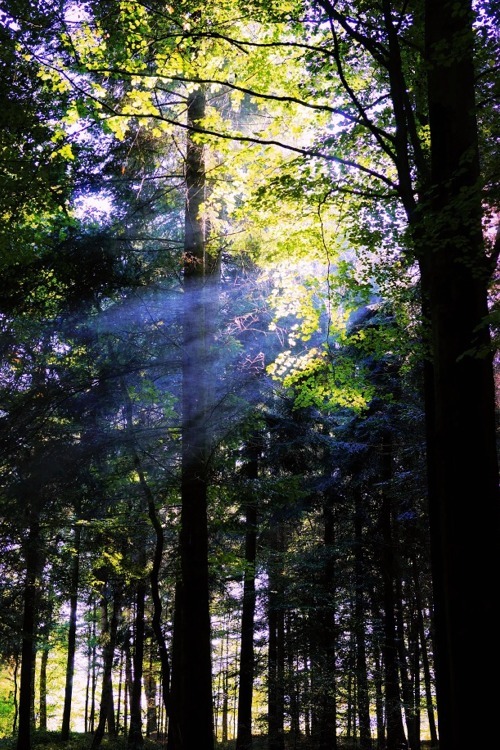 The information is communicated through various channels towards different target groups – from other researchers to forest owners and the general public. The working tools are scientific and popular writing, editing and Web production. Silvinformation works closely with a network of web designers, artists, graphic designers and other communication consultants. An important part of the network also comprises vast numbers of referees who have performed peer reviews of articles submitted to Scandinavian Journal of Forest Research. The company is owned by Mats Hannerz, who has a PhD in forest genetics, a Lic. exam in forest ecology, a masters degree in forestry, and courses in journalism and communication. His background of 20 years at SLU and Skogforsk involved research in forest genetics, silviculture and ecology. Since the early 2000s, he has gradually switched to communication through commissions such as scientific editor of Scandinavian Journal of Forest Research (until 2014), Web editor of the forest advisory system Knowledge Direct/Forestry Knowledge, and editor of the journal Plantaktuellt. In 2008, Mats Hannerz became an independent consultant in communication. The commissions have broadened and clients include representatives of the forest sector, universities (SLU), Skogforsk, the Nordic forest research community (SNS and EFINord) and Swedish national press. Most of the work is targeted at a Swedish audience, but several projects also reach the international public. One example is the newsletter News & Views from Nordic Forest Research. Contributions in English are often made in collaboration with John Blackwell at SeesEditing Ltd. The company is currently located in Kalmar in southeast Sweden. Those interested can check the list of publications. 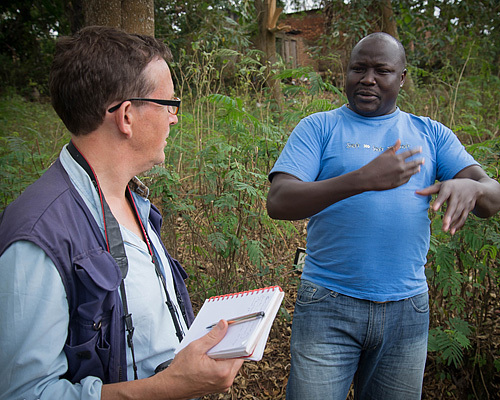 Interview for the Vi-Agroforestry in Uganda, a successful project showing how tree planting can strengthen society. Photo: Hans Olofsson. 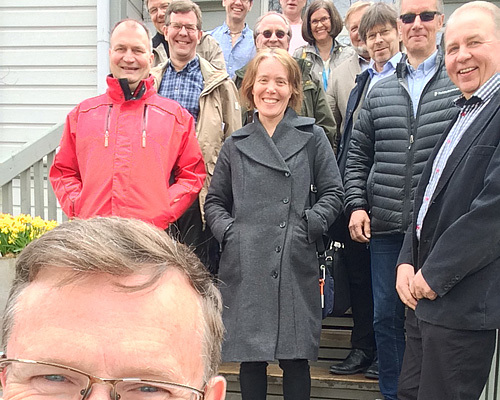 Researchers from Sweden and Finland meet in Tuusula to discuss uneven-aged forestry.